Jeffrey Fitzcharles plays the three-manual organ during one of the Month’s Mind Masses as John Short, at right, sings. Fitzcharles is the Music Director at Espiritu Santo Parish in Safety Harbor and Short is a musician and cantor at St. Mary Our Lady of Grace Parish in St. Petersburg. If music of the Month’s Mind Mass sounds just a little sweeter to your ear, there is good reason. It’s due in part to the new three–manual organ that has replaced a small electronic keyboard that was used since inception of the monthly Mass in 2012. 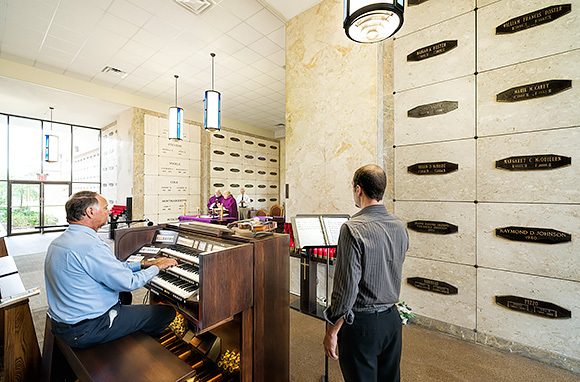 According to liturgical musician, Jeffrey Fitzcharles, the organ is “the preeminent ecclesiastical instrument with an integral part of the liturgy.” For liturgical music a three–manual organ is preferred as it provides for a full sound and a wide range which much liturgical music was designed for and written on. Of course no instrument is of value unless played by experienced musician. We are blessed at Calvary Catholic Cemetery to have a sampling of some of the finest liturgical musicians from around the Diocese of St. Petersburg. While our focus at Mass is on the altar, where simple bread and wine becomes the Body and Blood of Jesus, ecclesiastical music helps us to join our voices in worship and it adds to the overall spiritual ambiance. We invite you to join us on the last Thursday of every month at 12:15 p.m. in the Chapel of the Resurrection for the Month’s Mind Mass. Please do not miss an opportunity to remember and pray for your departed loved one. 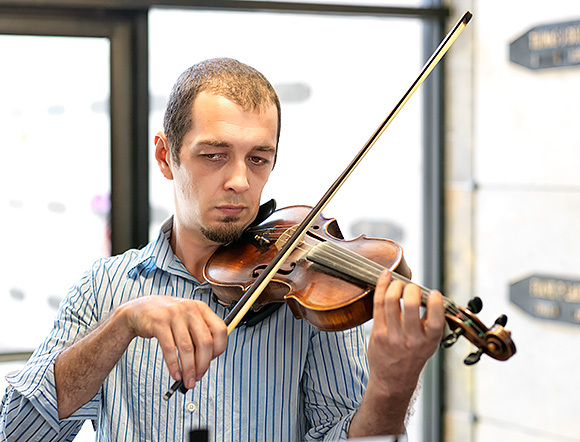 Musician and cantor, John Short, plays violin during a recent Month’s Mind Mass in the Chapel of the Resurrection. Short serves at Saint Mary Our Lady of Grace Parish in St. Petersburg. 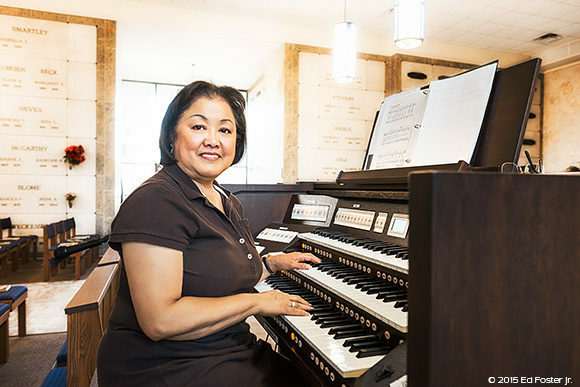 From time to time, Cathedral of St. Jude the Apostle Assistant Music Director, Jo Greene, shares her special talents at the keyboard for the Month’s Mind Mass. We are blessed to have Marty Purtell at the keyboard on occasion for the Month’s Mind Mass. 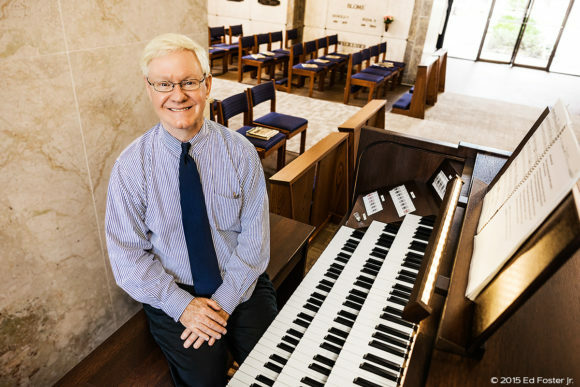 Before he retired at the end of 2014, Purtell was the Music Director for more than 20 years at Christ the King Parish and prior to that he served in the same capacity at Sacred Heart Parish in downtown Tampa.